This is one of my Breakfast go-to’s, especially when I have an early morning! Overnight Oats are the perfect breakfast to take on the go. I make them the night before so that when I’m in a rush it’s just grab-and-go on my way out of the house. 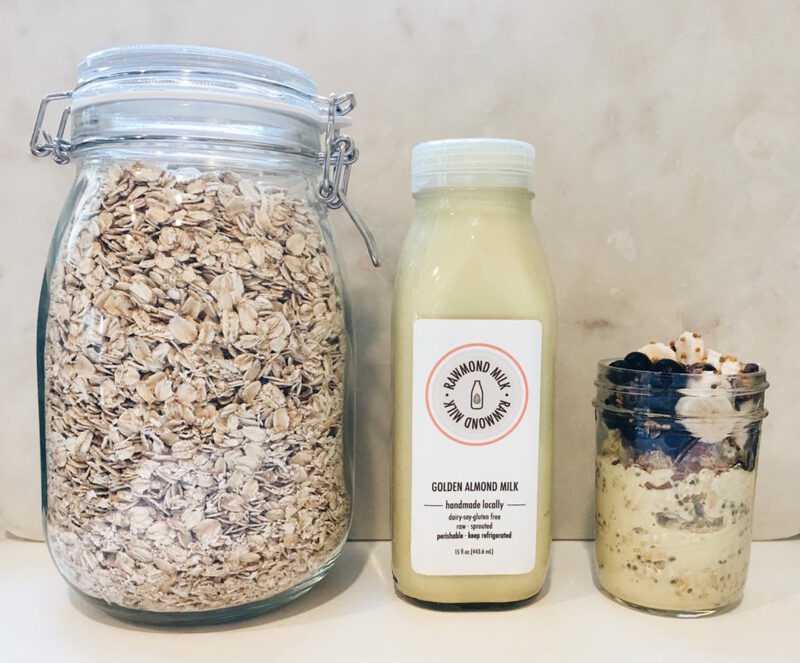 I almost always have Overnight Oats for breakfast before a photo shoot because it keeps me full for a while and I can eat it while sitting in the hair and makeup chair if I have to! 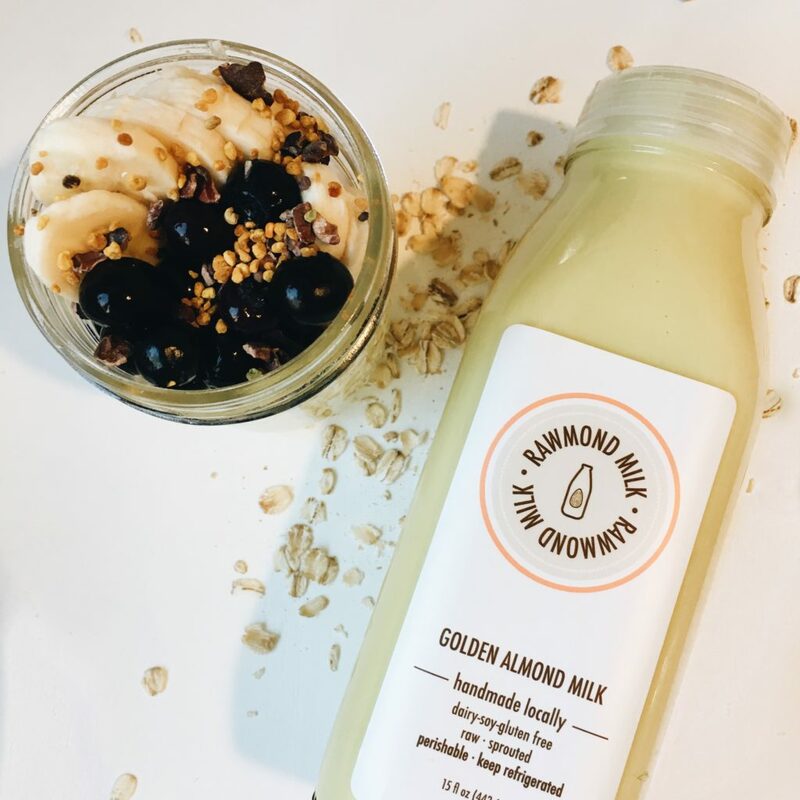 You may be wondering what Golden almond milk is. Its almond milk made with turmeric, honey, black pepper, and Himalayan sea salt. It’s amazing! I buy mine from a local Company, Rawmond Milk. I highly recommend buying your Nut Milks from a local company. The Milk tastes a million times better and has no added preservatives. Plus you’re supporting local small businesses! Try looking for Almond Milk next time you are at your local farmers market! +Combine all of the ingredients in your Jar. +Seal your Jar with the lid, make sure its tight! and give the jar a good shake to mix the ingredients. +Top your oats! I like to top mine with more cinnamon, berries, banana, cacao nibs, coconut shreds, and bee pollen. +In the morning they will be ready to go! Find out more about Rawmond milk here.